The Junior League of Salt Lake City is excited to host our 8th Annual Touch-A-Truck event! 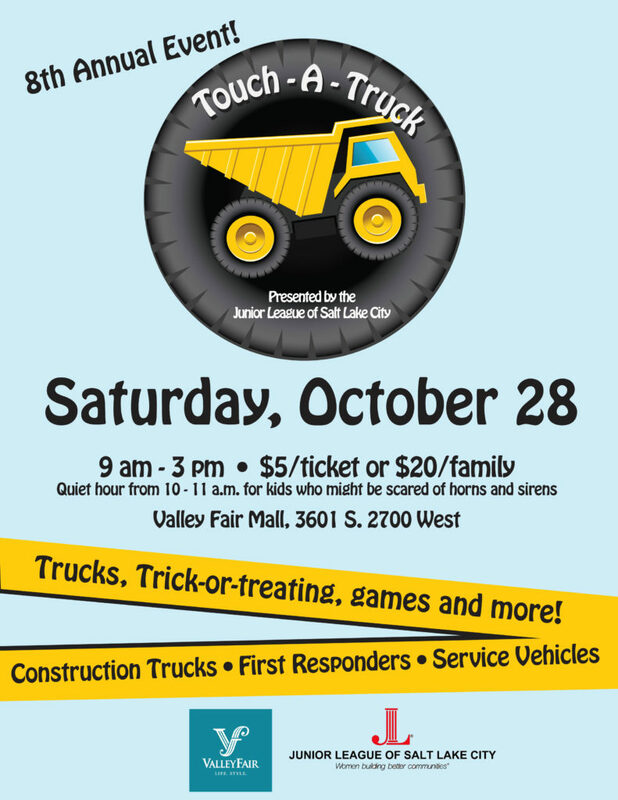 Touch-A-Truck is a family fun event offering kids of all ages a hands on experience to explore large vehicles, see how they work, and even sit in the driver’s seat! These large vehicles include construction trucks, utility trucks, emergency responder vehicles, helicopters, and more! Quiet hour will be held from 10:00 a.m. – 11:00 a.m. for kids who might be scared or sensitive to horns and sirens. All proceeds will go to the Junior League of Salt Lake City, which is an organization committed to empowering women by building better communities. Your contribution to this event allows the Junior League of Salt Lake City to continue making an impact and give back to the community through its programs. Sponsorships available click here for more details!